We have the ability to help you analyze and plan for your clients, helping make sure that you carefully consider all alternatives. Assistance can range from providing some helpful tips and pointers on a case to developing a full, written plan. For novice planners, this can be a great way to get your practice going without having full mastery of the subject matter. For experienced planners, we can help with complex and difficult cases. • Case Analysis – We can help you sort through the maze and find the best solutions for your clients, help you evaluate the alternatives. 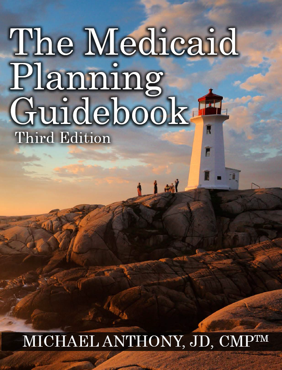 • Explaining Medicaid Planning Concepts – We can assist with your case presentations, help explain difficult concepts in easy to understand terms and help give your clients the confidence that you’ve got the best support possible backing you up. • Medicaid Application Services – If you need help beyond just planning, we can provide assistance through the entire application process. • Advocacy Support – Medicaid Planning cases can be problematic. Medicaid caseworkers are human and make mistakes. Correcting those errors can be difficult and require the effective use of fair hearings and litigation. If you’re not a litigator, we can refer you to someone who is. If you are, but this isn’t your field of expertise, we can support your litigation with experience in winning fair hearings and success at state and federal levels. • Case Design Reports – We can provide a full written case analysis that you can use to determine your clients’ best options. 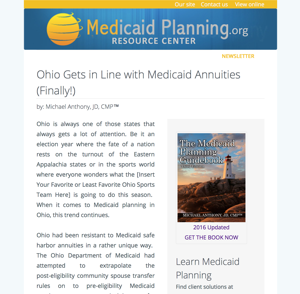 • Annuity Design – Our team can assist you with the use and design of Medicaid annuities, making sure that you observe all of the rules when using the product for your clients.